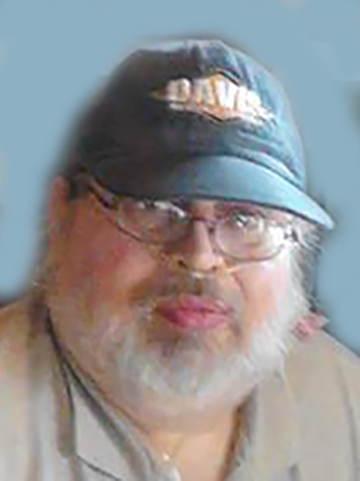 Richard B. Davis, 58, of Logansport, passed away Thursday August 16, 2018 in Chase Center. Born December 19, 1959 in Logansport to the Late Richard F. and Anna M. (Meade) Davis. Richard was a former Mini Buss driver of Cass Area Transit for fifteen years and a member of Cross-Wind United Methodist Church. Survivors include a sister, Mary Nethercutt, Logansport; one niece, Susannah Nethercutt, Muncie; and several friends. A celebration of life will be held at 1:00 PM Thursday, August 23, 2018 in the Mount Hope Cemetery Chapel with Pastor Nick Robinson officiating. Burial will follow in Mount Hope Cemetery. Memorial contributions may be made to Cross-Wind United Methodist Church. Arrangements have been entrusted to Gundrum Funeral Home.